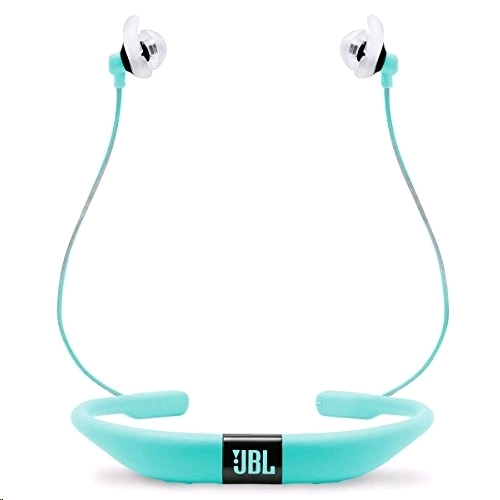 JBL Reflect Fit Heart Rate wireless sports headphones with JBL Signature Sound are designed to help you train in the zone. With its heart monitor technology, compatible with most heart rate enabled fitness apps, you can stream the pulse readings directly to your phone for data analysis and receive real-time updates through the headphones with just a single touch. The secure fit ergonomics design adapts to your movement for a distractionfree wearing experience. This, combined with its sweat-proof construction, makes the JBL Reflect Fit the perfect workout companion. The Reflect Fit is not only great for workouts, it’s also the perfect partner for any moment of your active lifestyle: thanks to the extended 10-hour battery life and integrated microphone with vibration call alert, you will never miss a beat or a call. 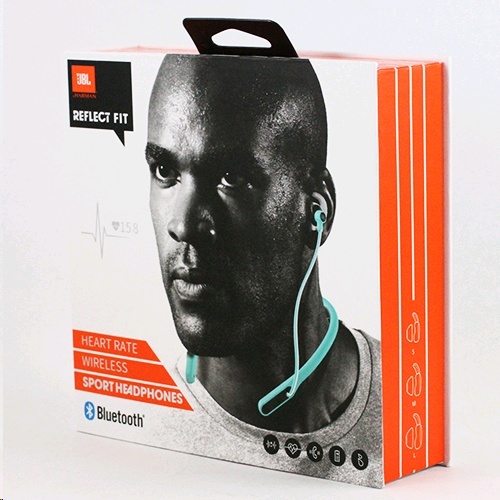 - Secure fit ergonomics, Lighweight, flexible neckband design combined with ergonomic ear tips (Freebit™) helpthe headphones stay put through the most intensive workouts.